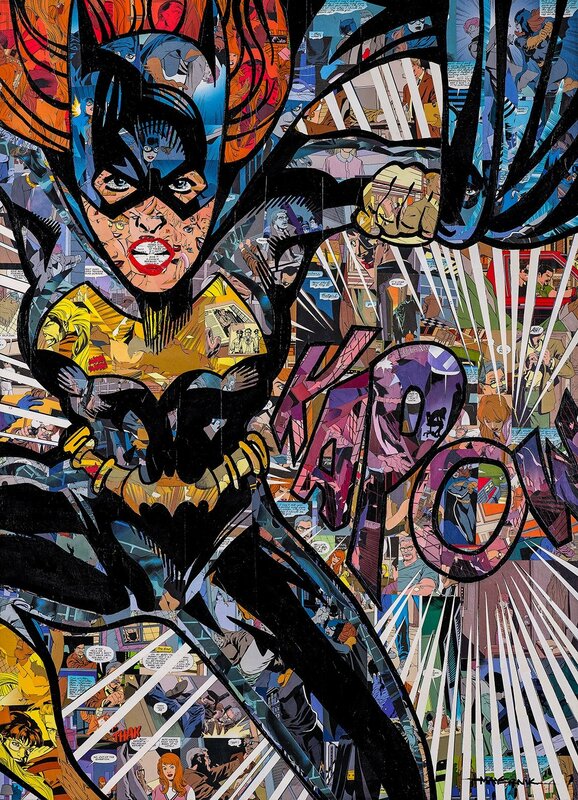 This work titled “Kapow” is 26″ x 36” and features the hero Batgirl, her alter ego Barbara Gordon, and her father, police commissioner Jim Gordon. This image is comprised of only issues #10 and 11 of the Legends of the DC Universe title circa 1998. No additional comics from other titles were used. “Kapow” also includes a custom black gallery frame that increases the overall dimension to 30”x 42”. 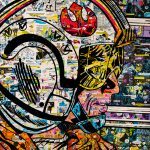 Original artwork is Comic, Mod Podge on Plywood. SKU: HERO-FKSS-1-1. Category: Originals. 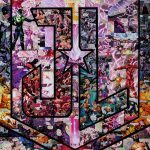 Tags: batgirl, Comic, Comic Book Art, dccomics, Hero Collage, justiceleague, Limited Edition, Pop Art, Poster.